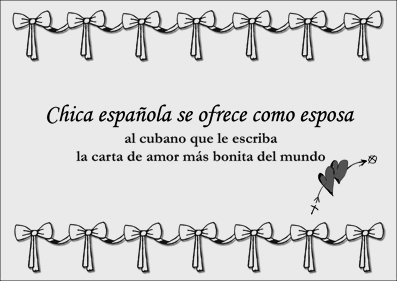 With this project Núria Güell offered herself as a bride to any Cuban who wanted to immigrate and obtained the Spanish citizenship. 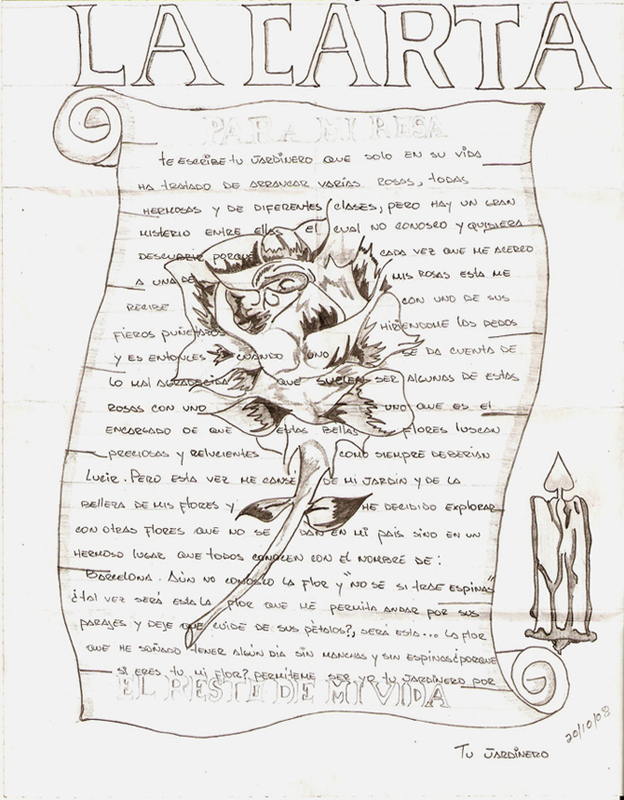 The aspiring husbands were invited to write a love letter which was submitted to a jury composed by three prostitutes who then declared the winner letter. Once married and having obtained Spanish citizenship it was possible ask for a divorce. This project focuses on issues related to immigration restrictions and the social consequences that they involve. This project gave a chance to the contest winner to live legally in the country and consequently to receive a Spanish residence permit. The project also shows a possible strategy to be used by other immigrants who are in the same situation. Through the project, Güell’s husband has obtained a legal residency in Spain and a residence permit to be abroad from the Cuban government. From now on, he is free to enter and exit Cuba whenever he wants and has all the rights of a Spanish national. Produced by Casa de Cultura de Girona / Maintained by the artist and her spouse.